A luxury hotel chain that’s aimed squarely at millennials, W Hotels knows its way around an influencer campaign. This brand genuinely engages with what’s happening in the 29 destinations where it has hotels, as evidenced on The Angle – a microsite dedicated to fashion, music, design and parties. The chain, always closely affiliated with music, started rolling out Sound Suites in late-2017: private recording studios within their hotels. 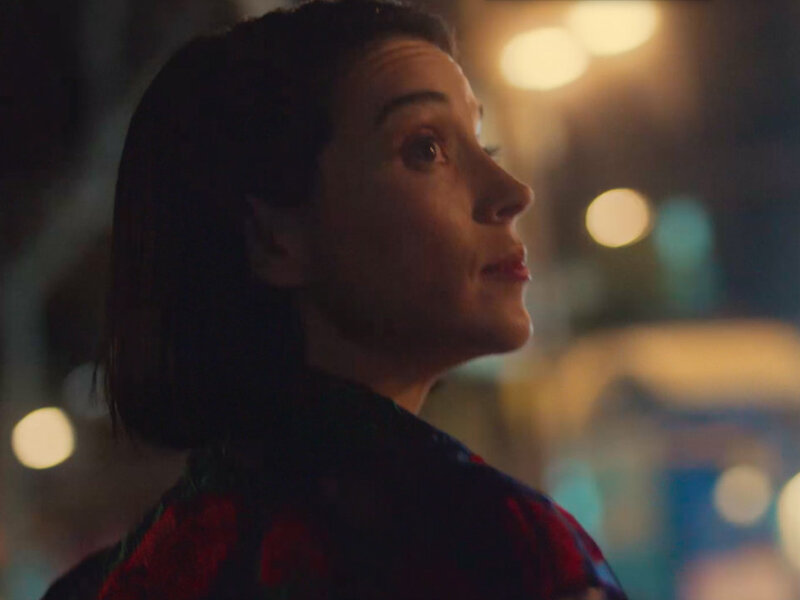 Teaming up with the experimental and provocative musician St Vincent, they’ve produced a 3-part video series “Secrets of the Sound Suite” at W Hotels in Seattle, Barcelona and Hollywood. The latter is the boldest iteration within the series, and has proved the most popular, racking up nearly 944k views on W Hotels worldwide YouTube channel. However, the distribution strategy for the series relied heavily on paid YouTube advertising, meaning there’s very little engagement beyond mere views (just 33 likes and 0 comments), and no organic reach. The clunky title of this InterContinental series, “Connection – A New Perspective”, is ironic: we don’t see a believable connection between the influencer and the destination, and we don’t see anything particularly new either. The ‘connection’ between food and travel writer Jason Kessler and Cartagena is performed in slo-mo interactions between him and the poor waitresses and baristas roped into this shoot. But it’s the voice over which really grates as he describes his connection with a place as a sense of ownership: “oh I love that coffee shop down the street, that’s my coffee shop…oh I love this park over here I’m going to walk through it every day because now, that’s your park.” For him, travel means “you get to create your version of wherever you are, that’s the connection we’re talking about”. That is one self-centred interpretation of ‘connection’. In terms of a fresh perspective, we are treated to one interesting birds eye shot of the city wall at the beginning, but after that it settles into pretty safe hotel-plus-destination-video territory. It does make good use of yellow as the prevalent colour on the streets of Cartagena – perhaps overdoing it by picking it up in a banana here, a mango there, and oh look! that man on a bicycle’s wearing a yellow shirt too! – but it does provide a pleasing contrast to the bland blue décor in the hotel. Hotel chains like InterContinental focus on providing guests with a consistent experience, rather than a genuine connection with a destination: whichever one of their 204 hotels you stay in, you can “Live the InterContinental Life”. It’s a model that’s served them well over the last 70 years, but perhaps explains why this attempt at ‘making a connection’ falls flat. The video has had just 289 views on InterContinental’s YouTube channel, and doesn’t appear to have been shared by Jason Kessler on his social channels. With so few people even encountering the content, it’s unlikely to generate a decent ROI. This video is the first in an ambitious four-part series, ‘StoryBooked’, by Marriott Rewards, the loyalty programme for the hotel conglomerate’s 30 brands. This is a serious campaign in every sense: it tackles an earnest subject matter, with impressively high production values, and defies digital-attention-span best practice, weighing in at 6 minutes and 18 seconds. After a cinematic opening sequence, artist Paula Wilson explains the importance of visual art for her personally, as someone with dyslexia. This sets the tone for the video, in which she speaks naturally and openly about her experience as an artist in relation to travel. The film builds slowly towards its climax, following Paula’s journey around Peru, interspersing wide-angle shots of the landscape with authentic-looking snapshots of local life. It’s asking a lot of a YouTube viewer to stick with it, but it leads to a satisfying denouement that links Paula’s art to Peru via her fascination with the visual iconography of the Incas. The pace accelerates in the closing seconds, successfully drawing parallels between close-up shots of her painting practice and the creation of a traditional lliklla (shawl). …and she’s still posting about it 6 months later, with #storybooked and a link to the video in her bio. This shows that really partnering with an influencer – giving them a platform to talk about what matters to them, rather then just using them to help with promotion – can reap long-term rewards and a strong ROI. Alex Woodward is a content creator here at REDPILL.